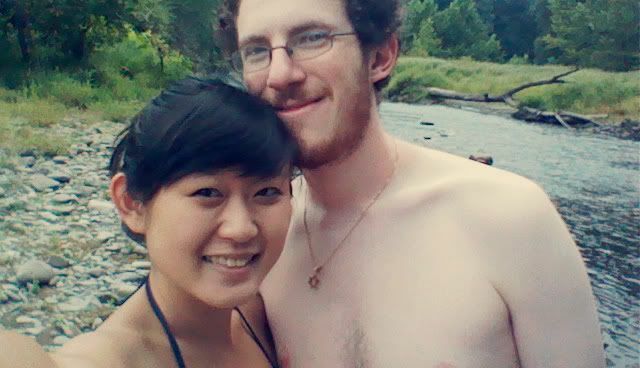 This past weekend, Jeremy and I took a trip to the Poconos to spend some time together outdoors. We picked the cheapest hotel we could find and it ended up being the perfect place for us. It's right in downtown Stroudsburg, Pennsylvania and there was a bar with 25 different beers on tap (and even more beers from numerous countries) within walking distance. Pretty sure we hit the jackpot. Jeremy was more daring with his beer choices and I kept to my light beers. What a woman, right? 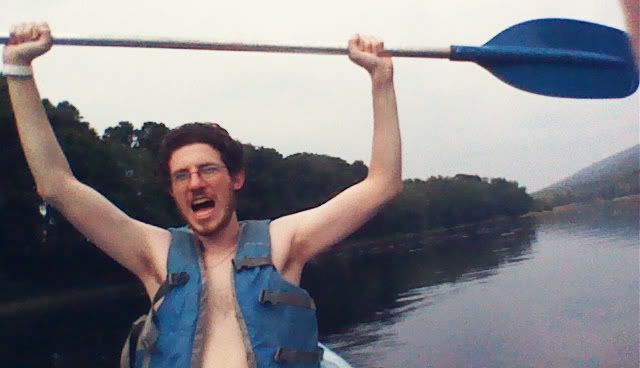 On Saturday we woke up and headed toward the Delaware river for some kayaking. After our kayaking adventure in Brooklyn a few weeks ago, we thought we were kayaking pros. This led us to sign up for the 10 mile trip and we were set up with a two-person kayak, life jackets, paddles, and a map. The first half of the trip was absolutely amazing. We explored a few areas of the river and discovered a few camping grounds we want to eventually come back to. 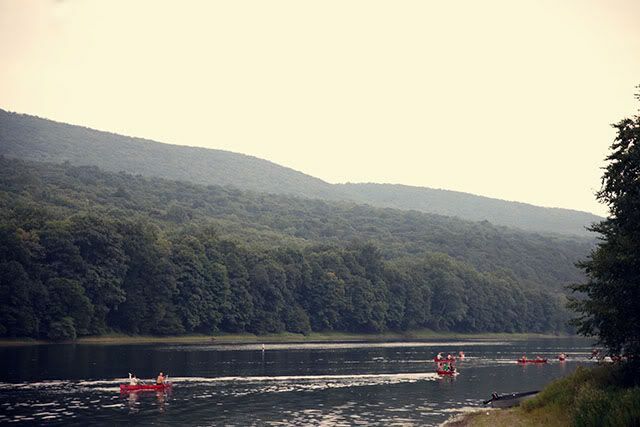 And even though there were a ton of other people out on the river, the peace and quiet surrounding the gorgeous Delaware river scenery was breathtaking. By the time we reached the 5 mile mark? We were pooped. The worst part? There's nowhere to go but forward. I'm pretty sure by the time we reached our destination our arms were about to fall off. Nevertheless, I'm so glad we made the trip. I've discovered a new found love for kayaking. On Sunday we drove all the way into the mountains for some good ol' hiking but I'll talk about that in my next post. The clock is telling me it's past my working woman bedtime. That bathing suit is way too adorable. Props for being able to paddle for 10 whole miles... that's a looong way to go in a boat! haha. But you did it. You're strong, Jen. ;) LIKE SUPERWOMAN. Oh I am absolutely in love with your bikini! Woo for 10mi!